Simple, attractive desktop weather monitor. Is there a better alternative to WeatherMin? Is WeatherMin really the best app in Desktop category? Will WeatherMin work good on macOS 10.13.4? WeatherMin is a simple, attractive weather monitor that lives on your desktop. 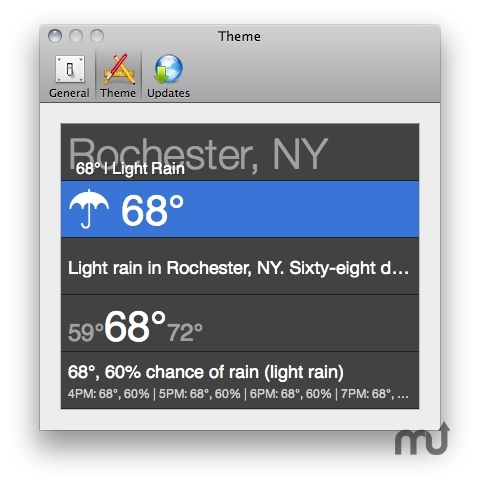 Get the weather data you need, in a form that fits in with even the most stylish Mac desktops. WeatherMin provides accurate, updated weather data and forecasts, with several different themes and notification options that allow you to customize it to your tastes. WeatherMin also takes advantage of Core Location to automatically determine the local weather conditions for your current position. Status bar icons are Retina Display compatible. Use OS X 10.8 geocoder when available for more reliable geocoding. Don't show duplicate location error messages when traveling outside the US. Small bug fixes and UI refinements.